NBA Cares memorabilia with autographs from Ian Mahinmi, Ron Harper, and Jalen Rose. Like, oh, my God. I can’t believe it. I’m so happy! I, together with a few fellows, have been given the opportunity to be face-to-face with the NBA’s all-stars. We were all expecting the Knights Rockets, but we’ve got the Pacers. But hey, those are the Pacers. And they rock! We’ve got to meet Roy Hibbert, Ian Mahinmi, Jalen Rose, and Ron Harper in the flesh. And boy, they are giants! 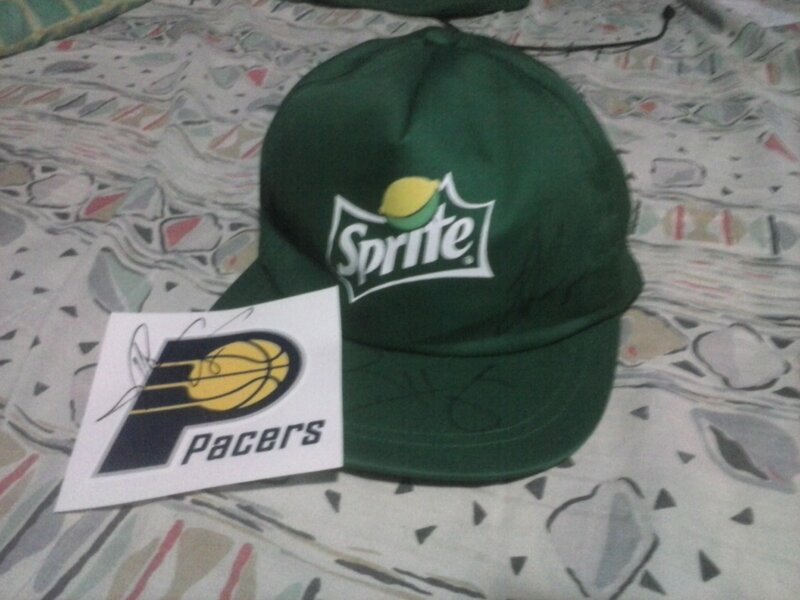 I got to wear two hats at the MOA Arena: the BigBro hat and the Pacer fanboy hat. It isn’t everyday I get to step in the MOA Arena. But I don’t think I’ll meet a Pacer or any other NBA player in a very long while–at least for the time being. And now for the long story. Here’s the deal. I don’t really play sports. Well, if you’d consider swimming as a sport, then, yes, I do play some sports. But I have always been the spectator more than the player. Sure I love the Houston Astros, the Toronto Maple Leafs, the OU Sooners, the Azkals, and the Talk ‘N’ Text Tropang Texters, but I didn’t get to watch NBA games often. My brother and my cousin, however, do. But enough about them, it’s about me. So I ended up an early bird at MOA, and I was surprised and delighted to see my LittleBros — fellows on the autism spectrum — looking forward to seeing the Pacers and the Knights face to face. Well, that was what we expected. Our friends from SM Cares, the outreach arm of SM Supermalls, welcomed us, and we were given front-seat passes. We had a little letdown when we were told the Knights Rockets were unavailable (they’ve got another event at the mall), but hey, the Pacers are in the arena, and they’re starting on a basketball clinic with Special Olympics Philippines. And oh, my god. The Pacers! At that instant, I became a Pacers fan. As in, instantly. Of course, even if I were being such a fanboy, I on instinct still acted like the big boy — even if some of my LittleBros were bigger than me (and a BiggerBro, who is taller and older than I was). I became the waker, the bouncer, the reminder — practically anything a big brother can do. And yeah, my sister laughed at me when I couldn’t remember the players we’ve met. But come on, give it to me — sometimes, the fanboy can get so starstruck, he even forgets his idols’ names! So, yeah. 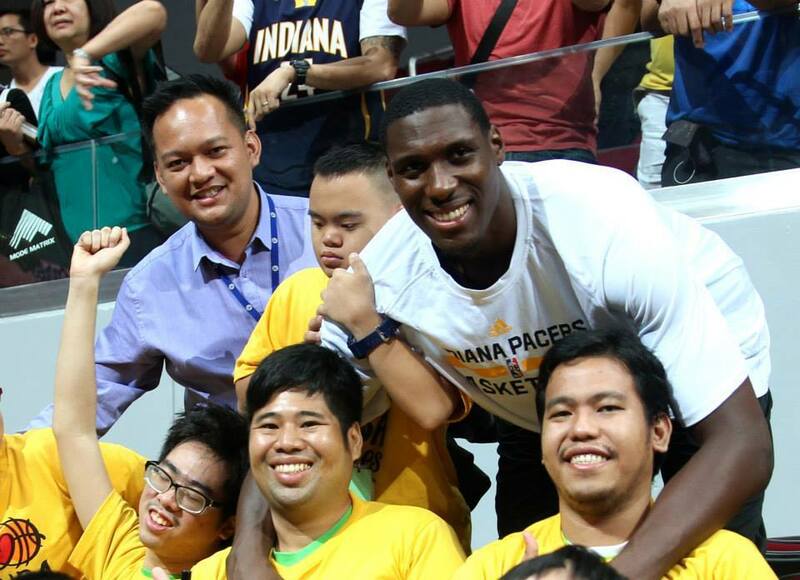 We’ve watched how the Pacers taught the kids at Special Olympics basketball basics, and after the game, we got to meet Roy Hibbert, Ian Mahinmi, Ron Harper, and Jalen Rose. Too bad my phone went down, but at least some of our friends managed to have some photos of us. 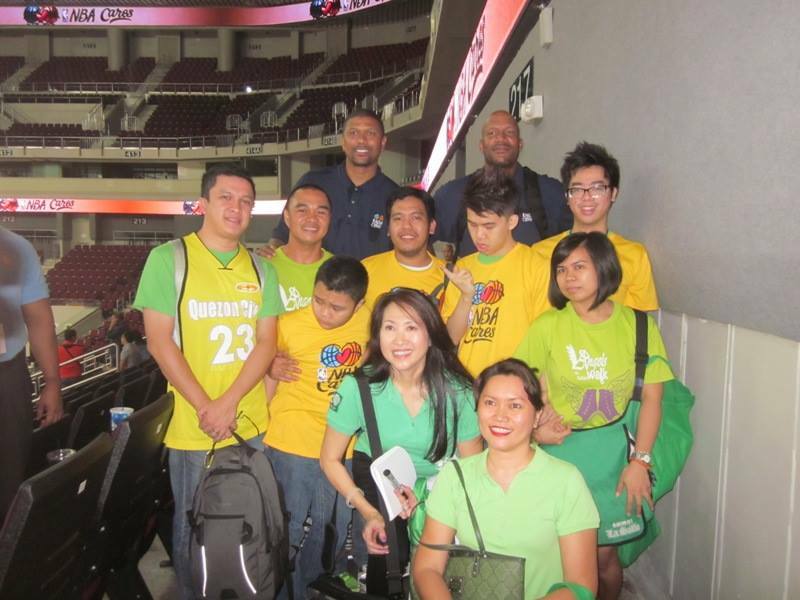 Thanks to Autism Society Philippines for the invite, and SM Cares and NBA Cares for pulling this off. You guys rock! HOPE FOR “A” NATION: The 13th Philippine National Autism Conference is a few days away! And they are currently running an offer for early-bird registrants. They are now offering discounts for early registration until 14 October 2013. For more details on the conference, visit philnac2013.wordpress.com.